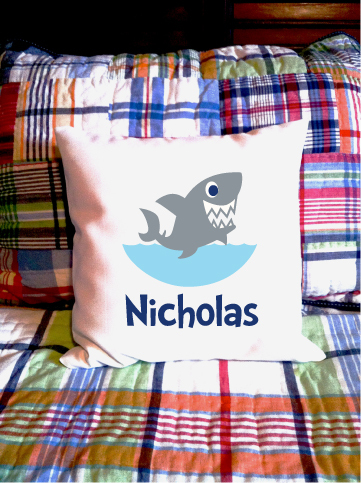 Adorable personanlized 14"x14" natural-white poly canvas pillow cover with slot opening in back. Makes a stylish statement in any child’s room or play room. Sold as a cover, but for $14 extra, you can add our 100% down/feather (14x14) pillow insert for cozy comfort.